Whether you find it inscribed on t-shirt tags or boldly embossed on signage, "Made In U.S.A." imbues a certain sense of love for country. You can't help but feel proud that the money you spend is going to the hands that have helped make America strong, a proverbial shining light on a hill. In fact, according to a Reuters/Ipsos survey, approximately 70 percent of Americans consider buying U.S.-made products to be important to them. Here's the problem: You don't see or hear the phrase quite like you used to. In an effort to save on operational expenses, many of the components, gadgets and equipment formerly manufactured domestically are now shipped in from overseas. Just about every line of business has experienced some form of offshoring to varying degrees. This includes the custom printing industry. At NGS Printing, however, all of our products are manufactured in the United States of America. Headquartered in Elgin, Illinois, about 90 minutes northwest of Chicago, our centralized location has enabled us to deliver to our customers in a timely fashion, no matter where they live across the country. Consistency is key in the printing industry because after all, any printer can make one good sample – it's the production run that is important and where the costs are incurred. For 10 years, NGS Printing has received G7 Master qualification in screen printing, digital printing, and color proofing from the International Digital Enterprise Alliance (IDEAlliance). In fact, NGS received COLORSPACE qualification in 2018, which is the most stringent of all print processes qualifications. That's a pretty big deal, and one we couldn't be prouder of, because G7 recognition is only given to printing vendors that have demonstrated repeatability. Using G7 Master printers is a quick way to ensure your graphics will be produced with consistent quality. Whether we're making aisle violators, endcap display graphics or printed styrene signage, producing custom graphics takes time. The length, of course, largely depends on the job. The fact that everything is done within the U.S. speeds the production process up significantly because of the extra communication needed, time delay, and shipping. Anybody who has had something made overseas can speak of the communication delays and often the extra communication required to ensure the project requirements are well understood. These delays can add weeks! Custom printed jobs done overseas also run the risk of graphic damage during transit, customs delays, high shipping costs, lost shipments, and lead times that can't be promised or even tracked. Alternatively, dealing stateside and in particular at NGS, when jobs are completed, our local customers are usually receiving their order the very next day. In short, our Made in the U.S.A. goal helps you save on time and money. We're a homegrown operation that can help you achieve your goals. If you have any familiarity with what the printing process entails, you know that it's just that – a process. Using domestic print providers offer the advantage of performing a first-piece approval press check if necessary on production runs. Press checks are common in the point of purchase display industry when a particular color is of utmost importance or when retailers are redesigning their store decor like window clings, backlit signage, and aisle markers need to be consistent across multiple vendors. Press checks provide peace of mind and assurances that can't be given otherwise when dealing with overseas. From Komatex PVC foam sheets, styrene plastics to paper cardstocks, the media types we use the most are all manufactured within the United States. While there are exceptions to this, we prioritize local manufacturers who produce quality products and offer competitive pricing which all benefits our customer. This leads to receiving out-of-stock materials faster, quicker lead times and better inventory control. It's really that simple – we've learned over the years that customers appreciate the fact that all of our work processes take place in the Land of the Free, Home of the Brave. Another national survey, from The Associated Press-GFK, showed 75 percent of Americans prefer to buy items that are made in the U.S., the Chicago Tribune reported. 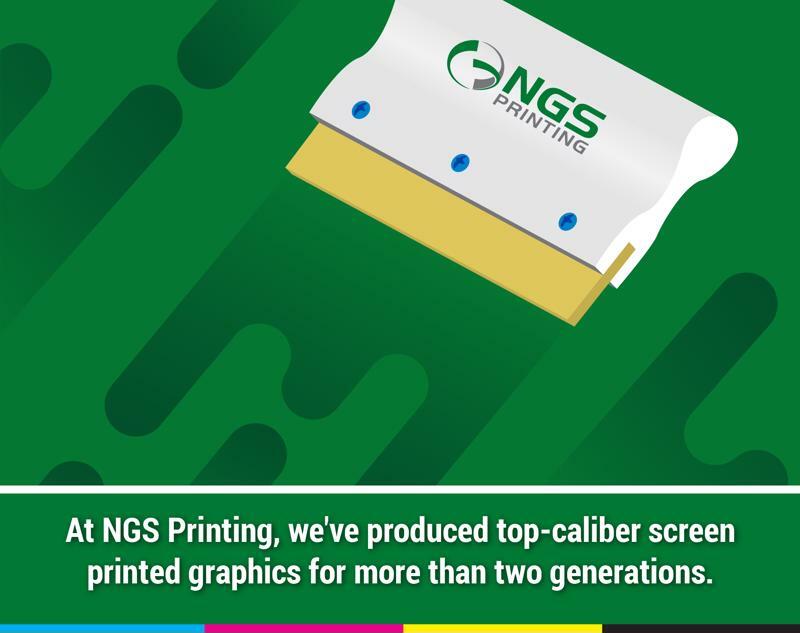 At NGS Printing, your quality assurance comes first and foremost. Keeping our products and services U.S.-made is also a priority and has helped us expand our capabilities so we never settle for second best. Contact us and discover how we always go above and beyond the ink – nothing more, nothing less.